ISPR Statement on NAP: A Change in Style? Gen. (Retd.) Raheel Sharif’s Joining of the "Islamic Military Alliance to Fight Terrorism"
ISPR Statement on NAP:A Change in Style? While some sections of the media portrayed this statement by the ISPR as an expression of the military voicing its concerns with the civilian Government,1 we at PILDAT believe that nothing in the statement implies civil military divergence. On the contrary, the statement espoused the principle of shared responsibility of the implementation of the National Action Plan (NAP), and this is the direction towards which both the civilian and the military Government may be turning. Furthermore, this ISPR Press Release may be contrasted with the ISPR Press Release of November 10, 2015, which, on the topic of Operation Zarb-e-Azb and implementation of National Action Plan ‘underlined the need for matching/complimentary governance initiatives for long term gains of operation and enduring peace across the country.’2 The intent of apportioning responsibility in that Press Release is clearly visible and it is a welcome development that the military and the civilian Government have come this far from that relationship. While the message of shared responsibility is well received, it must be noted that public statements of such kind have little practical value. It would be better if both the civilian Government and the military leadership used relevant formal channels to communicate on national security issues. Hence, it is welcome news that a meeting of civil-military leadership took place on March 13, 2017 at the Prime Minister House presided by Prime Minister Nawaz Sharif. 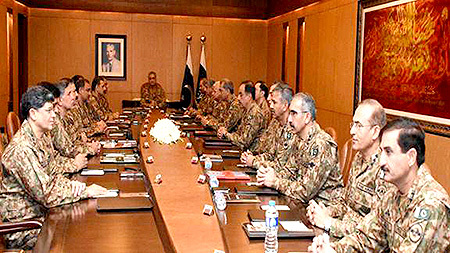 As per the Press Release by the Prime Minister Office, at the meeting ‘it was decided to further energize efforts on implementation of National Action Plan and ensure better implementation of NAP by Federal/Provincial governments’.3 This reconciliatory tone by the civilian Government suggests that civil-military relations are on the right track. It may here, however, be emphasized that the forum of National Security Committee needs to be activated for civil-military consultation of this nature. 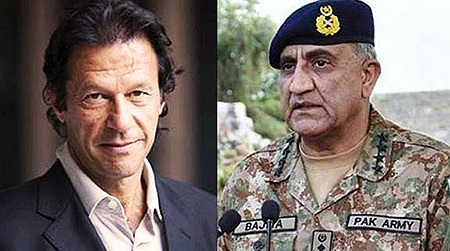 While it is true that civil military relations in Pakistan have a certain history that leads to different sections of the media closely analyzing statements coming from either quarter to see if those signal any civil-military friction, however, care must be taken to not construe anodyne statements as something more than what they actually are. The peculiarity of the meeting between the Chief of Army Staff and the head of a political party was only matched by the opaqueness of what was discussed in it. When asked to comment on it, Mr. Khan’s vague remarks stating that Gen. Bajwa ‘stands by democracy’5 muddied matters even further. The meeting attracted attention from different sections of the media and it is natural that people started asking questions and even engaged in speculations as to why this meeting was felt necessary. Unless some new information suggests otherwise, we feel that it is ordinarily not desirable for COAS to hold meetings with party chiefs. If it was something to do with the KP Government where Mr. Imran Khan’s party rules, the right approach should have been to deal with the Provincial Chief Minister instead. If these meetings become a new normal, it will be very difficult to avoid meeting other political leaders and each such meeting will generate unnecessary controversies. On March 25, 2017, Khawaja Muhammad Asif, MNA, Federal Minister for Defence, revealed that the Government’s consent on Gen. (Retd.) Raheel Sharif’s appointment as head of the 39-member Islamic Military Alliance to Fight Terrorism (IMAFT) had been conveyed to the Saudi Government in writing.6 This categorical statement may be in contrast with his earlier two vacillating statements on the same matter. The revival of military courts for another two years for trying civilian suspects involved in terrorism has taken place through the passage of the Twenty-third Amendment to the Constitution of Pakistan and Pakistan Army (Amendment) Act 2017. The Government introduced the Twenty-eighth Amendment to the Constitution bill (passed as the Twenty-third Amendment to the Constitution of Pakistan) and the Pakistan Army (Amendment) Act, 2017 bill in the National Assembly on March 10, 2017, which passed them on March 21, 2017. The same two bills were introduced in the Senate on March 21, 2017, with the Senate passing the Pakistan Army (Amendment) Act, 2017 on March 22, 2017 and the Twenty-third Amendment to the Constitution of Pakistan on March 28, 2017, and the bills becoming Acts of Parliament on March 30, 2017 with the assent of President Mamnoon Hussain. While the atmosphere of urgency surrounding the passage of the two bills was understandable, it is still unfortunate that proper deliberations on the bills did not take place on the floor of the two houses of the Parliament. Moreover, there is no visible evidence to suggest that relevant standing committees, particularly the Parliamentary Committees on Law and Justice, the Parliamentary Committees on Interior and the Parliamentary Committees on Defence in the two houses, discharged their duties of properly vetting the proposed legislations. Former Ambassador Hussain Haqqani’s article titled ‘Yes, the Russian ambassador met Trump. So? That’s what we diplomats do’ published in the Washington Post on March 10, 2017 generated its fair share of controversy in Pakistan. 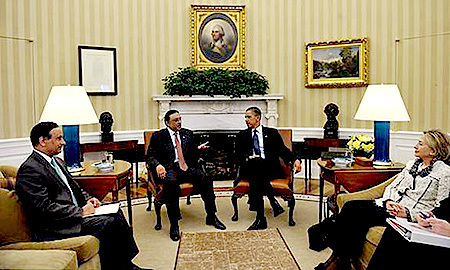 Among other things, Mr. Haqqani had revealed in the article that with the permission of the civilian Government, he helped in the stationing of U.S. Special Operations and intelligence personnel in Pakistan, who later proved to be ‘invaluable when Obama decided to send in Navy SEAL Team 6 without notifying Pakistan’14 in order to capture the most wanted terrorist at that time, Osama bin Laden, who was behind the September 11 Attacks.